Life has been busy since we returned to Australia after our wonderful two months in Turkey, working on Geokult. Since we then we have spent a lot of time talking about how we keep evolving the project. We have also been awarded a residency at Photoaccess in 2012, which will help us work towards exhibitions in 2013. Not long after returning from Turkey, Tracey contributed some work to an exhibition curated by Clinton Cross at Christine Turner’s Dirty Linen Art Space in Bundaberg, Queensland.. 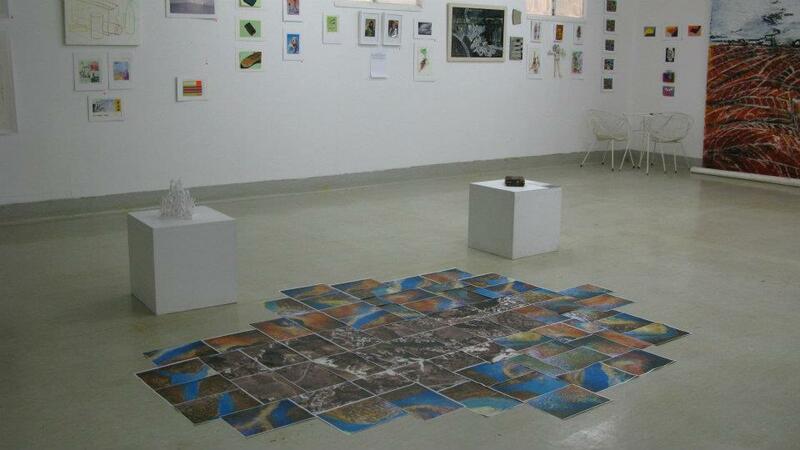 The work was comprised of two sets of laser photocopies, with no instructions attached for the gallery. 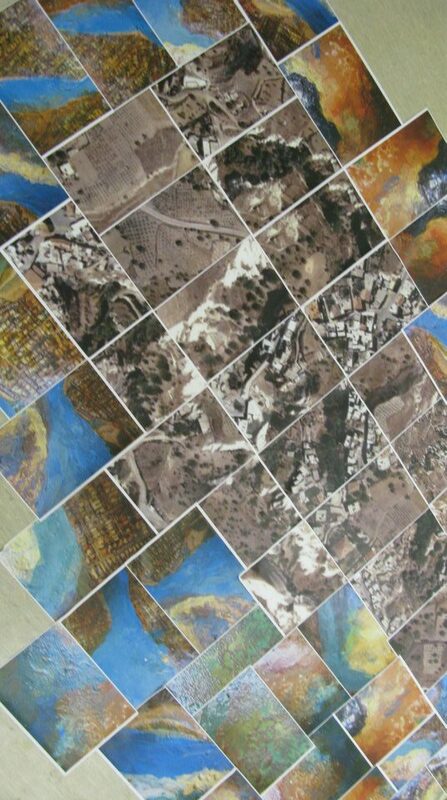 One group of images were a series of aerial maps of Ibrahimpasa and the other group were also laser copies, of digital photos from a mixed media collage on canvas. The gallery were interested in other similar works Tracey had made in Newcastle, Canberra and Darwin. The previous works were deliberately made in situ without a plan because the impact and relationship to the location is an integral part of the process as the underlying theme of Tracey’s maps pieces have focused on a personal history of experience of the location/s. We had no idea how the gallery would respond, if at all. The curator Clinton Cross contacted Tracey, who explained that the work was open to interpretation. the result was stunning and a real credit to Clinton and Christine. It has made us think of other ways that we could experiment with making work of an ephemeral, participative nature. Marty has been experimenting with GPS data collected both via mobile phone and specialist handheld GPS device and how to present it with links to other media such as photos and video.